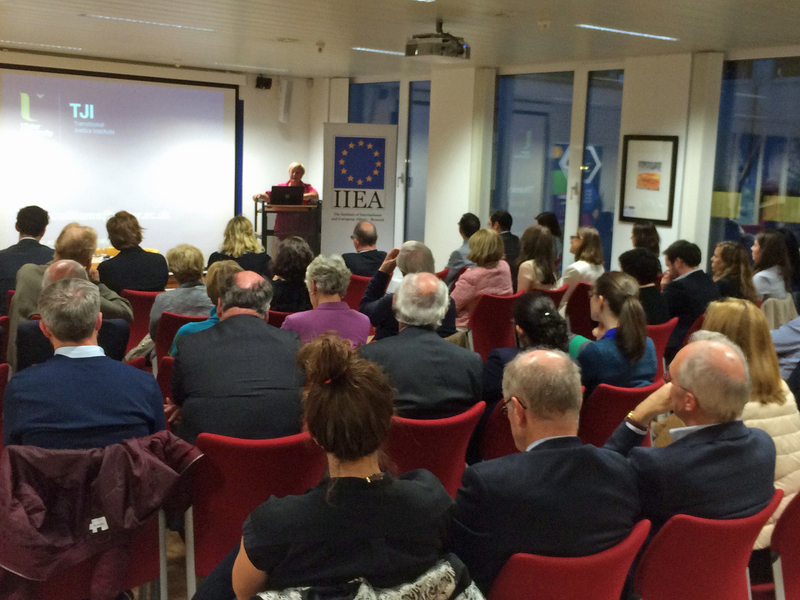 On Tuesday 15th September, the Brussels Office alongside the International Institute of European Affairs (IIEA) hosted a highly successful event with Professor Monica McWilliams on ‘The Challenges of Negotiating Peace’. Drawing on her extensive experience at home and abroad, Professor McWilliams spoke about the peace process in Northern Ireland and lessons to be learned in an international context. A highly engaging and insightful presentation was very well received by a packed room of representatives from the EU and national institutions as well as members of the wider Brussels community.